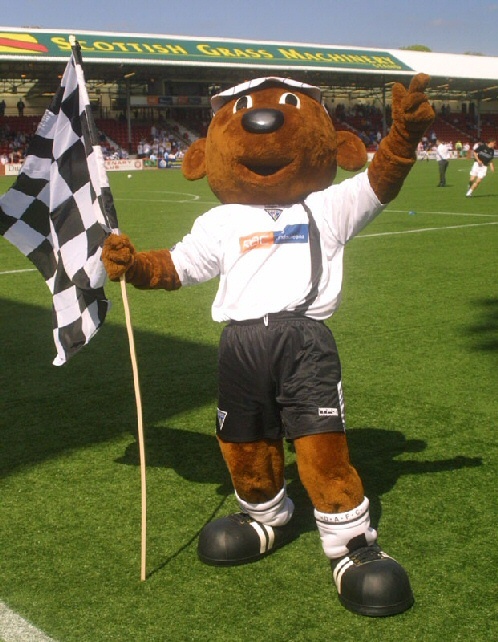 All Sammy’s Gang members were invited to Sammy’s Birthday Party and 30 attended in the Purvis Suite at East End Park. Sammy and his Gang Members celebrated Sammy`s birthday at East End Park on Sunday 17th September. Sammy woke up really early this morning and he felt as if he had been up for ages. 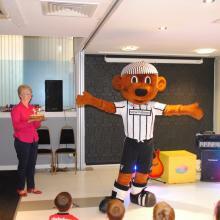 Sammy held his birthday party on Sunday 18th September at East End Park. Mick Magic provided all the tricks while Sammy enjoyed meeting up with his gang and having lots of fun. Sammy`s Gang gathered at East End Park from 1.00pm to 2.30pm on Sunday 12th September 2010 to celebrate Sammy`s Birthday Party. Sammy`s Gang gathered at East End Park on Sunday 14th September to celebrate Sammy`s Birthday Party. Mr Barking was there to entertain and Sammy came to blow out the candles on his birthday cake. Sammy`s Gang gathered at East End Park on Sunday 16th September to celebrate Sammy`s Birthday Party. Mr Barking warmed the audience with a little help from Pars defender, Scott Morrison. Sammy was his usual badly behaved self but he did manage to blow out the candles on his birthday cake. It was Sammy`s Birthday Party on Sunday 11th September. Sammy`s Gang enjoyed their day in the Kingdom Suite. It was a cold October morning and Sammy was fast asleep in bed. Do you think that bears can dream? I wonder what Sammy is dreaming about? A book of Sammy`s Stories!! Read on if you don`t yet have a copy of Sammy the Tammy`s very own collection of stories where he has lots of adventures in the only way Sammy can! !